Today the Belarus Investment Forum opens in Minsk. In recent years, Belarus has significantly improved its ranking in the Doing Business Report of the World Bank Group. This year it climbed two places, and on two parameters even made it into top 10. Yet state plans to attract foreign investments fail year after year. Perhaps some in the ruling elite understand that the stronger the foreign investors in Belarus are, the weaker the Belarusian regime becomes. This year, the government planned to attract $3.7bn in direct foreign investment, yet by 1 September only a quarter of this sum, $956.5m had been registered. The problems are evident not only in statistical data. Time and again the Belarusian government starts talking about large-scale ambitious projects and ends up proposing that investors just land. In November 2010, at the Belarusian Investment Forum in Frankfurt am Main, Belarusian Metal Works (BMZ) signed with Italian firm Danieli a memorandum of intent to build new production facilities. The project could reach an investment of $1-1.5bn. Yet nothing has been implemented, as Danieli was willing to help find $1bn only if it got shares in BMZ. The government, for its part, wanted to retain all 100 per cent of the shares it owns. In July 2010, the Minsk Regional Executive Committee and German company Enertrag AG signed an investment agreement to build a wind park with a capacity of 160 МW. It could cost about €360m and provide electricity to two districts. The Defense Ministry blocked the project, claiming that wind generators interfere with its radars. At the first Belarusian Investment Forum in London in 2008, the Energy Ministry and Polish company Kulczyk Holding signed a preliminary agreement to construct in Belarusian Zelva a coal power plant. Planned investments should have reached $1.3-1.8bn. The richest Polish businessman Jan Kulczyk wanted to supply the power plant with mostly Polish coal and export part of its electricity to the EU. The problems, however, exist not only with Western businessmen. Belarus remains a problematic place for post-Soviet and Eastern entrepreneurs as well. Many of them – Russians, Poles, Iranians, Arabs – have tried to find a common language with Lukashenka and gave up. Influential Russian oil and gas company Itera pledged to build a residential area and business centre to be known as “Minsk City” on the territory of the old Minsk airport. The amount of investment should have been about $5bn. Yet soon Itera put the project “on hold” and until now it has invested less than one per cent of the promised money and constructed only some a few ordinary panel houses. In February, the government cancelled the agreement with Itera. In July, Omani State Reserve Fund renounced the investment project in centre of Minsk. In 2009, Lukashenka granted Omani businessmen favourable conditions to build in the historical area of the capital. They planned to construct a residential complex, a business centre and a five-star hotel for about $150m. Last year, visiting Qatar, Lukashenka solemnly declared a project to create a “Qatar Island” in Europe. Belarusian officials explained that it would be a business and industrial centre of Arab countries and it would be built in Brest region. The only registered follow-up of these designs was revealing in September a document issued by Minsk Regional Executive Committee. It secretively regulated giving land plots to members of Qatar's ruling family to build hunting estates and facilities in the vicinity of Minsk. Arab investors are known for being less than eager to undertake industrial production projects. Yet there hardly could be more stark a contrast than those events which took place in September than between two post-Socialist nations dealing with Arab investors. While Belarus tried to lure Qatar emir to hunt in Belarus, Belgrade concluded an investment deal with the United Arab Emirates which enabled it to revive the Serbian aircraft industry. In the opaque bureaucratic mechanisms of the Belarusian state even the murkiest business is possible. In 2007, the Belarusian government gave a concession to the Luxembourgish company Polar Stars Group. It included two lignite deposits and two deposits of shale oil. The declared volume of investment was $2-3bn. “I would say frankly, we are not going to study the investors' history and look at whose money they use,” said Lukashenka in 2007 and added that he had information confirming the serious reputation of the company's owner. The owner regularly called on the highest Belarusian officials till 2010. Finally, however, the media revealed that Polar Stars was founded in 2006 and its registered capital makes up only about €20,000. In 2010, the Belarusian government cancelled this dubious agreement. In the absence of a noisy scandal, Belarusian society heard little about this incident. It is reminiscent of a similar incident in 1991. Then, Prime Minister Kebich granted one shrewd Italian the status of Belarusian Ambassador to all nations of the world, as well as gaving him an office in the centre of Minsk. The Italian had only promised Kebich that he would find loans badly needed by the Belarusian government. Only after the opposition vigorously criticised this affair, the government reviewed its decision. 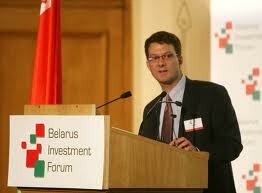 The Belarusian government has serious problems handling foreign investments. It manages to combine contradictory attitudes. On the one hand, it enforces rather strict and inflexible rules. On the other, it lets dubious firms do serious business in Belarus. Meanwhile, Belarus has no choice but to attract foreign investment. It has survived all these years economically because of Russian subsidies which, according to some calculations, have totaled about 15 per cent of Belarusian GDP. They are quite unpredictable, dangerous and likely to diminish. Belarus has to replace these subsidies, which are also the foundation of Lukashenka's rule. Yet not with other subsidies; the EU is definitely not going to take over this role as Belarusian sponsor. Minsk has to reform the economy and create new production facilities and sources of revenues. For that, it needs serious investors. Any Belarusian government aware of national interests will have to deal with this task. Only when this mission is accomplished will Belarusian independence and democratic transition become solidified. To scare foreign investments away from Belarus means to strengthen Lukashenka's regime and Russia's dominance in the country. Belarusian experts carried out a lively debate on the role of civil society and intellectual in contemporary Belarus, revelations of Zianon Pazniak and the situation with doing business in Belarus among other topics. Civil Society: To the Ghetto or the Barricade? – political analyst Alexander Klaskousky summarised the views of the participants of the conference "The State of Civil Society in Belarus," which took place in Warsaw on October 26-27, with support from the Casimir Pulaski Foundation and the Council of Europe. In particular, CSO activists believe that Belarusian authorities talking about modernization are not ready to proceed with serious reforms. Also, CSOs have still not still seen any mitigation of the circumstances for their activity in the country. Damocles Sword of Anonymous Donations – Yury Chausau, based on case of the magazine ARCHE which is now under financial investigation, expresses concern that formal suspicion of violating the law in the economic sphere can be a reason for the persecution of civil society institutions. The expert, in particular, draws attention to the legislative nonsense whereby anonymous donations in Belarus are not prohibited, but are treated as foreign aid, the use of which is tightly regulated. The Main Battle will be After Lukashenka – Alexander Klaskousky refers the Alexander Lukashenka's thesis that it is time "to bring to power normal young politicians." The journalist makes a sad conclusion that the hour "X", which is so expected of change agents can be stupidly missed: "Belarus lacks a truly educated, hardened in real battles, polished by practice, and disciplined by responsibility political cadres. It's difficult to consider as such those members of Parliament who do not solve anything, or languish in the ghetto, at most what now exists is the leading of online internecine wars by opposition figures. Another revelations from Zyanon Pazniak – one of the most sensational recent revelations belongs to Zyanon Paznyak, leader of the CCP-BPF who has lived abroad for more than 15 years. Paznyak narrates for almost 30 minutes about how the former head of the OSCE office in Minsk Hans-Georg Wieck, in coordination with KGB, who spent $1.7 million on splitting BPF and hand-picked the current Belarusian opposition, which are "a bunch of people to whom the West gives money and tells what to do". Paznyak suggests that democracy is only a tool to achieve Western interests in Belarus, which is not always in the best interests of Belarus and was widely quoted by state media. The Return of Europe – BISS presented the seventh issue of the polling memorandum series based on the public opinion poll data of the Independent Institute for Social, Economic and Political Studies (IISEPS). Surprisingly good news for Europe: for the first time since June 2011 Belarusians would prefer a European choice. No clear winner appeared in the controversy surrounding the opposition’s decision over whether to boycott parliamentary elections or to participate. BISS considers those to be the two main outcomes of the latest polling data provided by IISEPS. Belarusians' Ideas of Human Rights and Rights Defense Activities – the study was conducted by the Centre for European Transformation on the initiative of Belarusian human rights organizations from April-June 2012. The purpose of the study was to identify concepts that exist in Belarusian society regarding the relationship between people and the state, human rights and their defence. The initial hypotheses generally affirmed that: a) the set of issues that is being researched is not actualised in the practises and beliefs of the respondents; b) the level of competence of the respondents as to the specified issues is not very high. Analytical Review of the Human Rights Situation in Belarus. July-September 2012 – the Review covers the period of July-September 2012 and identifies medium-term trends in the area of ​​human rights, socio-political and economic situation in Belarus. It also contains a final report on the observation of the parliamentary elections and the analysis of the state of Belarusian civil society. The document was prepared by BHC, BAJ, the NGO Assembly, Lawtrend, Human Rights Centre Viasna, BISS, EuroBelarus, etc. Discussion TUT: Will People of the Moment Lead Changes in Belarus? 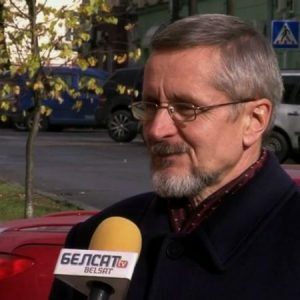 – political analyst Alexander Klaskovsky and political columnist Pavlyuk Bykovsky speculate who could take the lead, when Belarusian society is ready for a change in politics. Both experts believe that the situation will birth new faces, but not use the former presidential candidates and political activists who are now displaced abroad. Belarus and Russia: Affinity and Dependency – Grigory Ioffe considers the closeness of Russia and Belarus which has multiple aspects, one of which is a structural affinity between Russian and Belarusian societies. Both are afflicted with an internal schism, and the two resulting segments of each society have limited mutual communication. The problem of the Belarusian Westernizers is their proclivity to construe their own preferences and attitudes as those of the society as a whole. The analyst refers to the case with the diametrically opposite verdicts on the September 23 parliamentary elections by the opposition-minded electorate and the rest of Belarusian society, and supports it with the recent IISEPS data. Index of Economic Adequacy of Belarus-2012 – analytical community "Liberal Club" presents the second edition of its study "Index of Economic Adequacy of Belarus-2012". The annual survey is an attempt to draw the attention of the Belarusian public to the existing economic instability in Belarus and the absence of public debate on how to overcome it; the latter is considered by the authors as a major threat to national security. The presentation of the report took place on October 26, in Minsk. Business in Belarus 2012: Status, Trends, Prospects – IPM Research Center prepared an annual report on the status and prospects of small and medium size business in Belarus in 2012. The issue considers the economic situation of small and medium enterprises and their development prospects, including an analysis of the influence of the integration agreements with Russia and Kazakhstan in this field. Belarus’ Foreign Policy Index №10 – The Kremlin retains the full political support of Minsk. The Ukrainian vector after its summer activation has returned to essentially zero. The relations with developing countries improved a bit, especially with China. The relations with the European Union re-entered the stage of "vacuum of events". These are the main conclusions presented by BISS in the latest issue of Belarusian Foreign Policy Index, covering September and October of 2012.